- has already been unveiled, with a flood of exciting announcements coming in the next few weeks. Tickets are still available at early-bird rate of $610.00. Prior to joining Cricket Australia, Style's background was in investment banking and corporate advisory roles, largely with Macquarie, before joining Medibank ahead of its IPO. An unexpected offer led to her making the move to Jolimont in late 2014, stepping into the newly created head of female engagement role. With her husband, former golf professional Ben Styles, she is also the owner of industry disruptor X-Golf, the largest network of golf simulation centres in Australia and New Zealand. Media + Marketing Summit thanks our presenting partner, Carat, and sponsors Tonic Health Media and REA, for their continued support. Media + Marketing Summit Melbourne will take place on July 25 for a second time, following a hugely successful inaugural launch last year. The program for Melbourne will be unveiled on March 12. 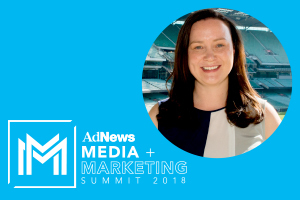 Sarah Styles, head of female engagement for Cricket Australia, will open this year's Media + Marketing Summit in Sydney on 4 May. AdNews is thrilled that Styles, who is responsible for driving the greater involvement and inclusion of women and girls as players, athletes, fans and employees, will deliver a keynote designed to reaffirm and extend AdNews' continued focus on diversity and equality. In keeping with the groundswell around these vital issues, Styles is perfectly placed to shed light on how our industries - advertising, media and marketing - are hugely responsible for maintaining the debate, breaking down barriers, and establishing a stronger, inclusive narrative for women. Significant progress is already being made in the cricket world, most notably the transformation and professionalisation of women’s elite cricket, rapid increases in the number of women and girls playing cricket, and the KFC Big Bash League’s gender-balanced crowds. In addition, each major initiative is being matched by countless seen and unseen changes to ensure cricket is genuinely 'A Sport For All'. This year's Media + Marketing Summit will be held on 4 May at Sydney's Darlinghurst Theatre. The program - a single strand of editorially-curated content - has already been unveiled, with a flood of exciting announcements coming in the next few weeks. Tickets are still available at early-bird rate of $610.00.